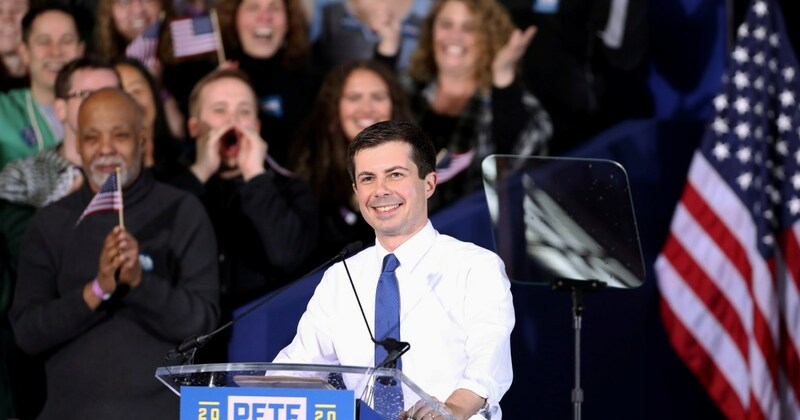 Pete Buttigieg, Mayor of South Bend, Indiana, announces he is running for the Democratic Party's nomination to be President of the United States in the 2020 presidential election. 2019-04-8 U.S. Representative Eric Swalwell from California announces he is running for the Democratic Party's nomination to be President of the United States in the 2020 presidential election. 2019-03-4 Former Colorado Governor John Hickenlooper announces he is running for the Democratic Party's nomination to be President of the United States in the 2020 presidential election. 2019-03-17 U.S. Senator Kirsten Gillibrand of New York formally announces she is officially running for the Democratic Party's nomination for President of the United States in the 2020 election. 2019-03-14 Former U.S. Representative Beto O'Rourke from Texas announces he is running for the Democratic Party's nomination for President of the United States in the 2020 election. 2019-02-19 Vermont Senator and 2016 presidential candidate Bernie Sanders announces on Vermont Public Radio that he is running for President of the United States as a Democrat in 2020.